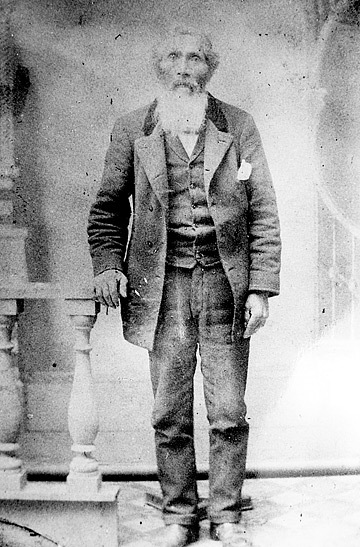 The story of William Naukana, a Hawaiian laborer in the mid-1800s, is told in Part 1 of "Crossing East." An eight-part history of the Asian-American experience will air on public radio stations nationwide, focusing on the many waves of Asian immigration and how they helped shape a nation. Locally, "Crossing East" will air from 5 to 6 p.m. over eight Fridays beginning this week, on Hawaii Public Radio, KIPO 89.3. Four of the programs are hosted by actor George Takei of "Star Trek" fame; another four, by comedian Margaret Cho. Producer Dmae Roberts relied on interviews, archival recordings and professional actors reading historical documents and literature, along with music by Asian-American performers. Friday's inaugural program is "First Contacts," about early trade between Asia and the Americas, with a segment, "Kanaka Village," about Hawaiians in the Pacific Northwest. The third program, "Raising Cane," documents Hawaii's experiences and was produced by Roberts and Robynn Takayama. It features local actors Dann Seki, Denise Aoki Chinen and Keith Kashiwada, with "hole hole bushi" songs by Shigeko Miyashiro and slack-key music by Ledward Ka'apana. » Visit www.crossingeast.org to see documents, recordings and photographs collected by the producers.